New Delhi, Mar 30 (UNI) Hundreds of farmers from Punjab today marched to Parliament demanding a ban on import of wheat amid the government's fresh announcement to import 15 to 20 lakh tonnes of more wheat in addition to import of five lakh tonnes Australian wheat already in the pipeline. Carrying placards and banners the agitating farmers were stopped near the Jantar Mantar at the Parliament street by a heavy posse of policemen where the protesters held a rally seeking raising of Minimum Support Price (MSP) from present Rs 650 per quintal to Rs 850 a quintal. Agriculture and Food Minister Sharad Pawar yesterday said the government was planning to import 15 to 20 lakh more wheat to build up a buffer stock for the country. The slogan-shouting farmers, assembled under the banner of Bharti Kissan Union (Ekta). Punjab also handed over a memorandum to the Prime Minister with a charter of demands pertaining to instructing the FCI to make direct purchases of paddy and wheat from the farmers. 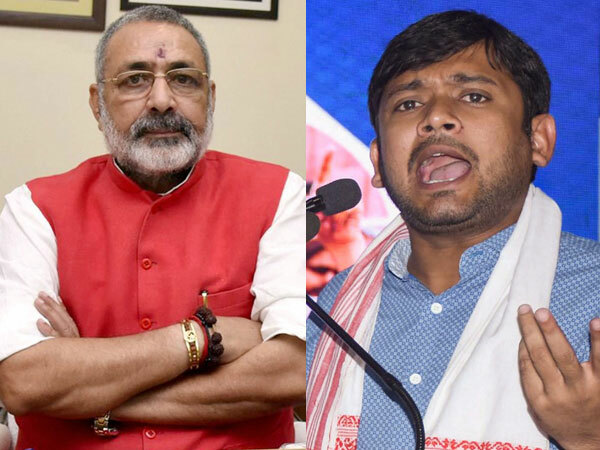 Addressing the rallyists, Union president Pishora Singh'Sidhupur' and genrral secretary Balkar Singh 'Dakonda' alleged that because of 'wrong' policies of the government, the farmers got heavily indebted and some of them were driven to suicide as well. So, instead of enhancing the credit flow to the rural sector as is bieng done in the case of industry, the old loans of farmers be waived off and interest rate on such loans be reduced to four per cent, Mr Sidhupur said. Mr Dakonda sought that India should withdraw from the WTO and it would pave the way for chepaer imports from developed countries, ruining the domestic agriculture. The farmers were upset over the current practice of state governments acquiring land for giving away to industry at subsidised rates. It amounted to the farmers subsidising the industry which is totally unfair, said Mr Dakonda. ''Let the industrialists purchase the land directly from the farmers at the market rates,'' said Jagmohan, another kisan leader. The farmers' agitation was also suported by activists from the Punjab Kissan Sabha, Punjab and All India Kirti Kissan Sabha.